Deputy Director of ITEC (Institute for Technology, Enterprise and Competitiveness), Doshisha University. He was born in Fukuoka in 1955. He graduated from the Department of Physics, The University of Tokyo in 1977 and received a Master of Science (MSc) degree and a Doctor of Science (DSc) degree in 1977 and 1984 respectively, both from The University of Tokyo. 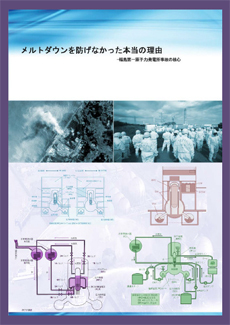 He has been a physicist since he joined NTT Basic Research Laboratory in 1979. He also served as a visiting scholar at the University of Notre Dame, U.S.A., from 1984 to 1985, and as a guest scientist at IMRA Europe, France, from 1993 to 1998. Since he joined The 21st Century Public Policy Institute of Keidanren as an executive senior fellow in 1998, he has been investigating science, technology and innovation management and public policy on national innovation systems. In 2003, he was appointed as a professor of Doshisha University. He was also Deputy Director of ITEC (Institute for Technology, Enterprise and Competitiveness), Doshisha University. In April 2014, he will be a professor of Kyoto University (Graduate School, Shishu-Kan). He founded four venture companies, ArcZone K.K. (1998), Powdec K.K. (2001), ALGAN K.K. (2005), and CONNEXX SYSTEMS K.K. (2011) and is currently a board member of four. Among his recent publications are "Innovation: Paradigm Disruption and Fields of Resonance" (NTT Publishing) in 2006, "Recovering from Success: Innovation And Technology Management in Japan" (Oxford University Press) in 2006, and "JR Fukuchiyama Line Incident: Rethinking Corporate Social Responsibility from Science" (NTT Publishing) in 2007. In 2008-09, he served as a visiting fellow at Clare Hall, University of Cambridge. From 2008 to 2009, he served as a Visiting Fellow of Clare Hall, Universityof Cambridge. GMA, 8th Floor, ASTEM Bldg. © Copyright 2009, Reseapro Scientific Services (P) Ltd.